According to government estimates, as much as 50 percent of Kenya’s harvested fruit goes to waste. Post-harvest loss means a significant loss of income for smallholder farmers like John Musomba, who grows mango on a 2-acre farm in Nziu, Kenya. 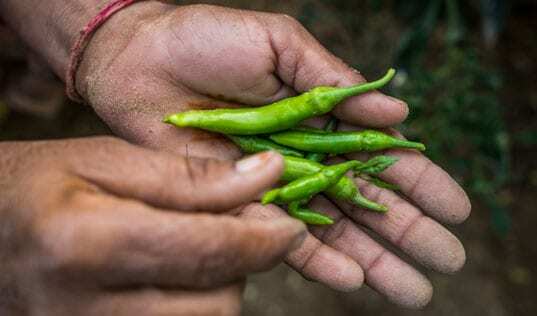 Even when his trees are healthy and producing succulent green mangoes, the value of his precious harvest can plummet for a variety of reasons. Fruit flies and other pests – on the rise in Kenya due to climate change – can destroy a large part of the harvest. Bruised fruit that hits the ground when harvested incorrectly or gets damaged through poor transportation will not sell well. And heat can be a great enemy for John’s fruit, leading to rapid deterioration after harvest. 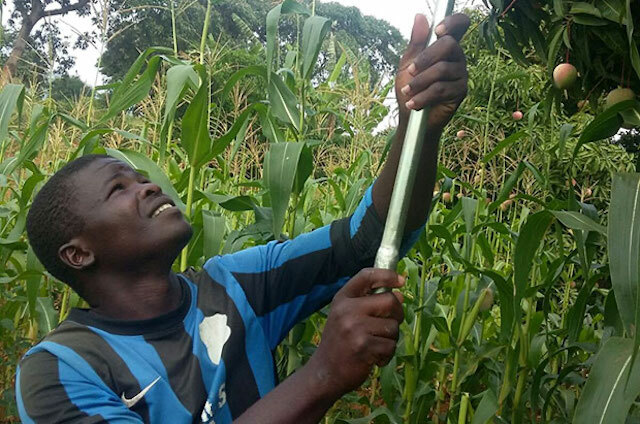 TechnoServe and the Rockefeller Initiative have teamed up on the YieldWise Initiative to mitigate these factors and improve incomes for mango farmers in four regions of Kenya. We’re working with John and 20,000 farmers to manage pests through non-chemical means, such as setting up traps. We’re training farmers on optimal harvesting times and practices, such as using a pole to pluck nearly ripe mangoes rather than shaking the trees. Farmers then learn about proper packaging, lining crates with paper in between layers of fruit to minimize loss. YieldWise is also extending the shelf life of farmers’ mangoes through cooling technologies and other innovations. John manages the cold storage facility that YieldWise helped establish in Nziu, which uses solar power to refrigerate up to 3.5 metric tons of fruit for approximately 150 local farmers. 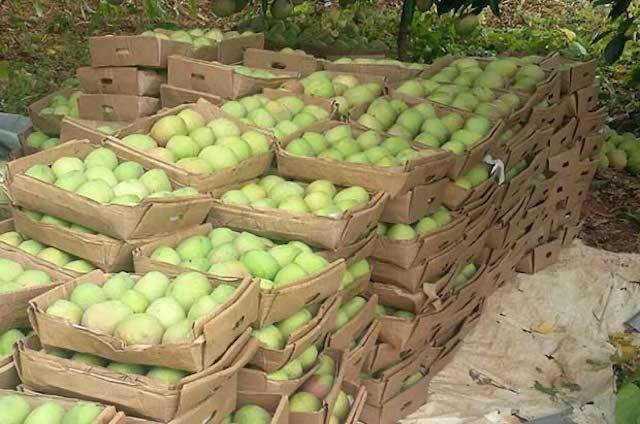 “With the organic control interventions in addition to the cold storage facility, I now harvest and sell 250 [metric tons] of mango fruits in a year,” John recently told Reuters, noting a 150 percent increase over his pre-YieldWise harvest. The members of his farmer business group who use the facility can sell their mangoes for ten-fold what they earned before, when selling hastily to intermediary traders. Further north, YieldWise is working with a farmer business group in Embu, Kenya, to pilot a solar drying facility and turn the group’s fruit into mango crisps and mango flour that can be mixed with other products for a ready-to-drink powder. 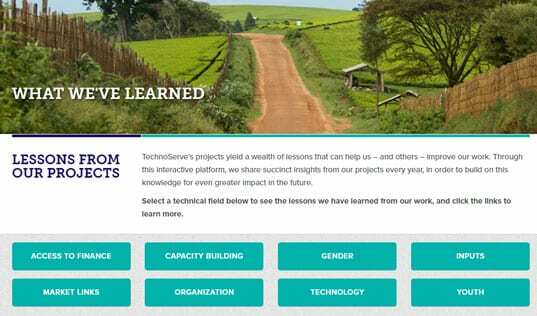 These value-adding activities have great income potential, but the group is working with TechnoServe to resolve some early challenges with developing the new products and introducing them into the market. In all four regions, the YieldWise team is partnering with local market actors – including technology companies, farm supply retailers and exporters – to promote these innovative post-harvest technologies and offset their cost through stronger market connections and higher prices. YieldWise has trained more than 15,000 farmers on post-harvest loss technologies since 2015. TechnoServe has also brought together a variety of local and regional buyers, including fresh market traders, exporters, mango dryers and processors, to establish volume purchase agreements with YieldWise farmer business groups.